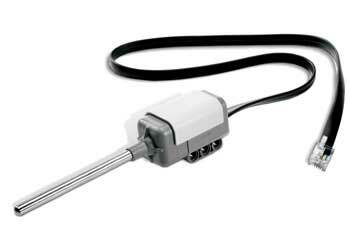 The temperature sensor is a digital sensor which can be used with both the EV3 and older NXT bricks. It is great for use in data logging experiments and can be used in programs to help regulate the temperature within a greenhouse. It can be calibrated to measure both Celsius and Fahrenheit (-20 to +120°C/-4 °F to +248 °F).